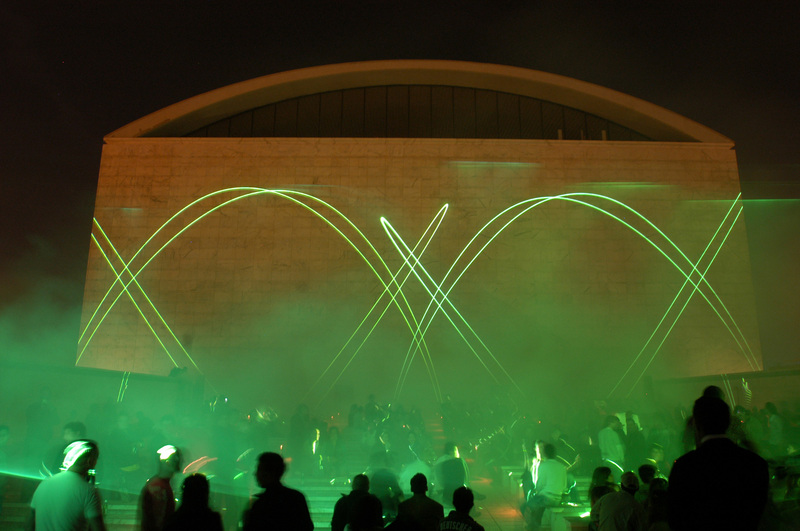 In LSP: Laser / Sound Performance, artist Edwin van der Heide submerges his audience in the light of lasers, fog from smoke machines and abstract sound. Since 2004, he has travelled all over the world to give his laser show in all kinds of places, and it never was the same experience twice. 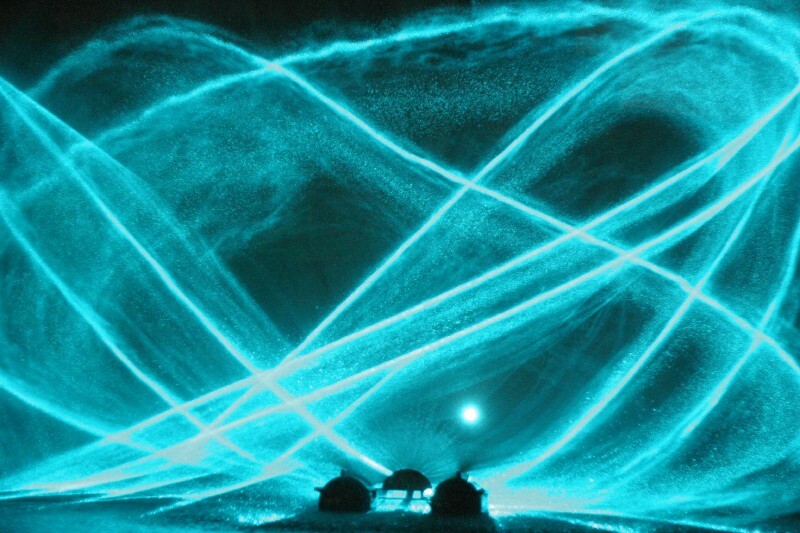 Van der Heide uses sine waves to produce both sound and visual patterns. As seen in the video, his waves can get quite complicated. The input device for the sound source and the light source is the same: they both react on Lissajous figures / Bowditch curves / sine waves. It is hard to find a frequence that brings forth both an audible, rhythmic sound as well as a nice and steady visual pattern. In most of his shows, the artist builds up slowly and later gets rather wild and chaotic. 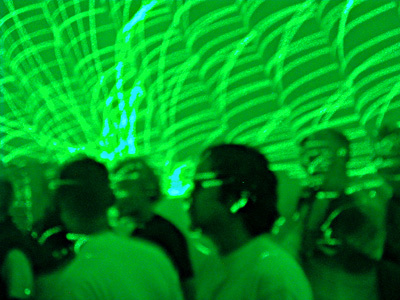 Now, although van der Heide is also very much interested in sound (he is principally a sound artist), in this piece he stresses the surrounding effect lasers have to an environment. He wants to challenge his audience to constantly change their perspective, making them very much aware of the light. Lets say this is his way of bringing light as entity back into the consciousness of people, unescapably visualizing it as a three-dimensional environment. Piene, in Shanken, Edward. Art and Electronic Media (Phaidon 2009): p. 197 -198.